Your oral health can have a powerful effect on your risk for heart attacks or strokes, according to a peer-reviewed BaleDoneen study published in Postgraduate Medical Journal. Using level A scientific evidence, the research is the first to reveal that periodontal disease (PD) due to certain high-risk bacteria can be a contributing cause of cardiovascular disease (CVD), the leading killer of men and women. Also known as gum disease, PD is a chronic oral infection that affects the majority of Americans over age 30, many of whom are undiagnosed and unaware of their cardiovascular danger. Here is a closer look at the research and heart-smart steps the BaleDoneen Method recommends to keep your teeth and your ticker healthy. Why is this study considered landmark? Earlier research, including a scientific statement by the American Heart Association, has shown a strong, independent association between PD and CVD (which is also called heart disease). Indeed, a 2016 analysis of studies involving more than 7,000 people found that those with periodontitis were 2.5 times more likely to suffer heart attacks than those with healthy gums! However, there is a key difference between one condition being associated with another disease versus being causal. Even optimal care for an associated condition may not have any impact on the end disease, while such management of a causal condition for CVD could be potentially lifesaving, by helping people avoid heart attacks and strokes. In the early stages, PD often has no obvious symptoms. As a result, millions of people don’t realize they have a serious oral infection that can result in tooth loss, if untreated, and has now been shown to cause CVD. Warning signs of PD include red, swollen or tender gums, bleeding when you brush or floss, loose or sensitive teeth and persistent bad breath. To find out if you have PD, as your dental provider to do a painless exam, using a mirror and periodontal probe to check for signs of oral infection. How can I find out if I have high-risk oral bacteria? There are companies that measure Oral Pathogens through DNA analysis. Some include: OralDNA, OraVital, and Hain Diagnostics. What’s the best treatment for PD? While the results of the DNA pathogen tests can help guide personalized treatment for gum disease, there is no therapy proven to be 100% effective for getting rid of high-risk oral bacteria. Available treatments include more frequent cleaning, laser therapy, improved home care, prescription mouthwashes, dental trays with antibacterial gel (PerioProtect) and sometimes short courses of oral antibiotics. No matter which treatment is prescribed, the BaleDoneen Method recommends repeating the DNA pathogen test afterwards to see if it worked. What are the best ways to avoid PD–and lower heart attack risk? Brush and floss twice a day. Although you may have seen headlines claiming there’s not much science to support flossing, in a nine-year study of 5,611 older adults, people who never flossed had a 30% higher death rate than those who flossed daily! Go to bed with a clean mouth. The study found that never brushing at night raised mortality risk by 25%, versus nightly brushing. Since your mouth produces less saliva to wash your teeth and gums when you’re sleeping, it’s particularly crucial to floss and brush thoroughly before bed. We recommend brushing with a sonic toothbrush for best results. 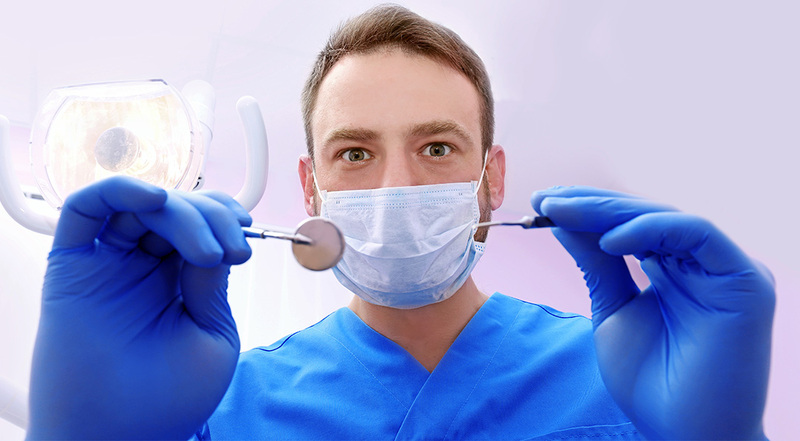 Get a dental cleaning every 3 months, or as advised by your dental provider. The study also found that people who hadn’t gone to a dentist in the previous year had a 50% higher mortality rate than those who went 2 or more times annually, leading the researchers to conclude that good oral health promotes longevity by helping people avoid lethal systemic diseases sparked by infections and chronic inflammation, such as CVD. Share the PMJstudy with your dentist and hygienist. Because this science is so new, your dental provider may not be aware of it yet. Download or read the study online at http://pmj.bmj.com/content/93/1098/215?etoc. Use it to encourage him or her to join your heart attack and stroke prevention team!